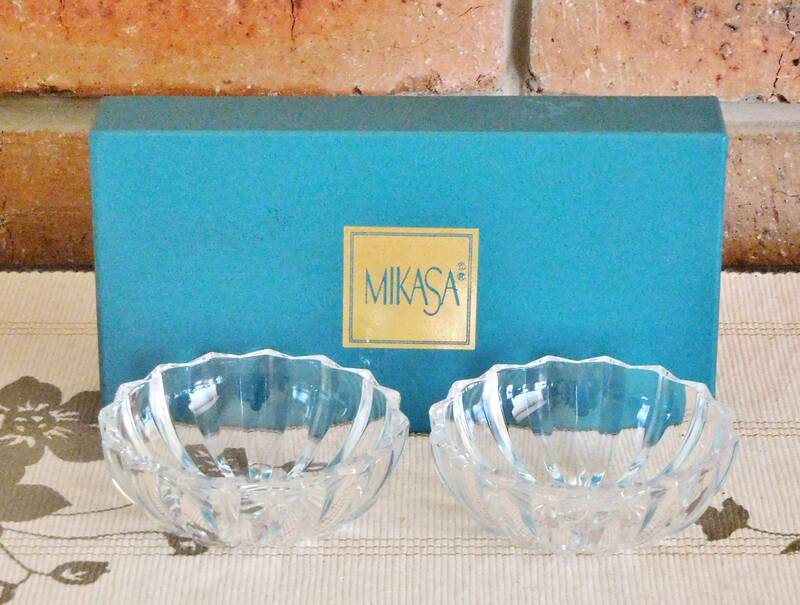 Mikasa vintage 1990s Sunbeam crystal glass condiments, jam, cream small bowls or dishes in original box. 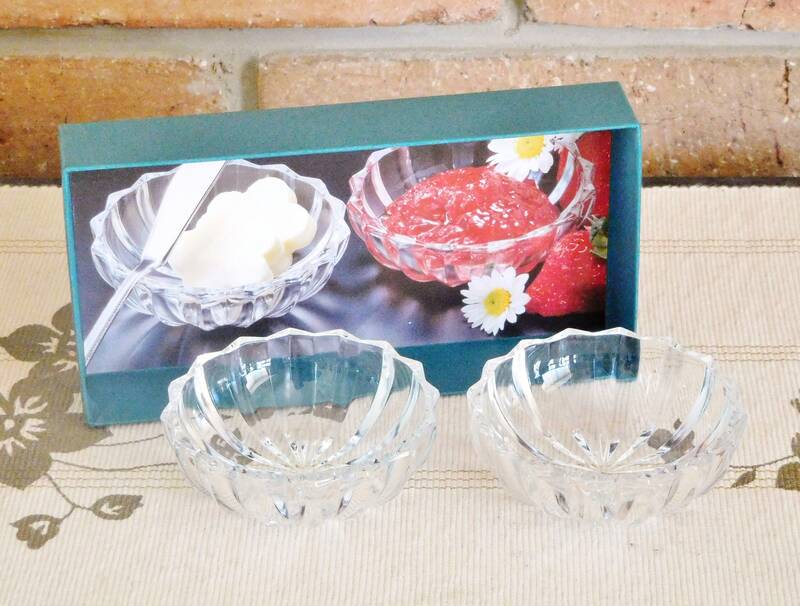 Both dishes are in perfect condition, though the box shows the tiniest spots of wear in parts. 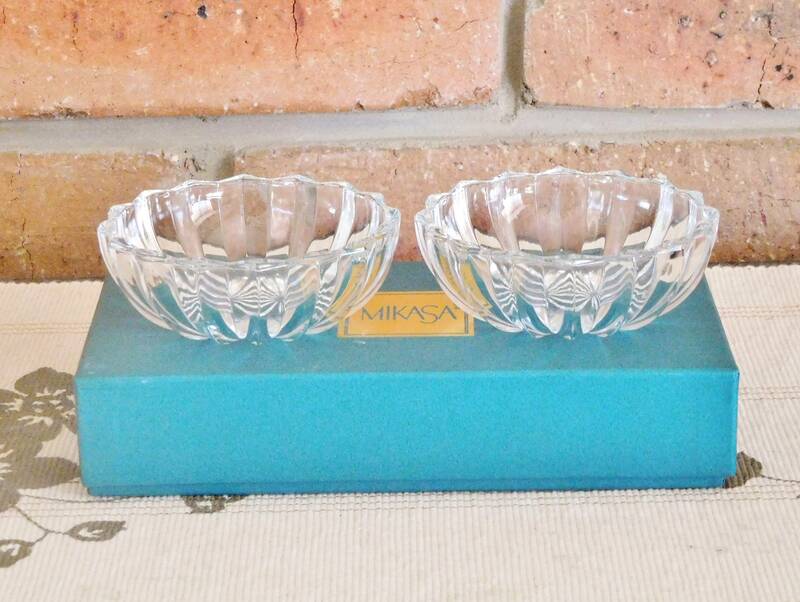 This lovely pair would make an excellent Kris Kringle gift teamed with some homemade scones or cakes, for that special workmate and friend! If postage is charged, the cost reflects both postage itself, size and weight of the parcel, padding and packaging as well as the time taken to send this item with care. (Free postage only applies within Australia).